It’s a crime to be poor… That sounds shocking but it’s true…. If for example you commit the terrible crime of attempted murder you can be handed a suspended sentence and community service…. 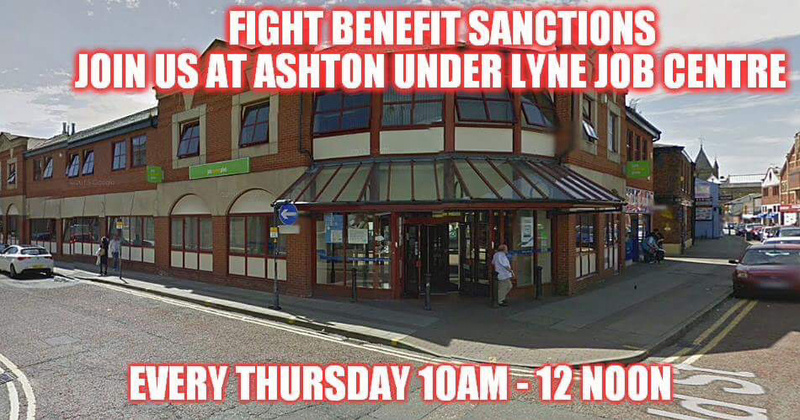 If you are sanctioned by the Jobcentre you get fined at least £1,000 in sanction and are made to do unpid work. I say fined in sanctions because they just stop giving you money. I’ve heard some shocking and unlawful reasons for sanctions lately… Sanctioned for failing to obtain a job interview… Sanctioned for attending a funeral… Sanctioned for being five minutes early for a signing on appointment… Sanctioned for being five minutes late…. Sanctioned for attending a workfare interview at a charity shop arranged by the Jobcentre. However the one which I find the most shocking…. The decision to sanction you even before they speak to you. Yes you arrive for your appointment and the g4s security guard is stood right behind you…. Guilty before being proven innocent. Please if you are accosted by a member of their g4s security staff and they touch you or assault you please report them to the police and to the ombudsman. Also when they inform you that you are being sanctioned request your hardship form which by law you are entitled to. 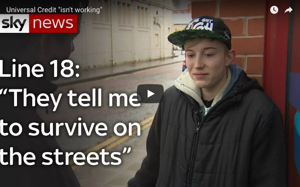 Unfortunately the Jobcentre staff “forget” to tell people this… And once marched out of the Jobcentre they won’t allow you back inside. It’s disgusting how the poor and needy are being treated. We cannot allow this to happen anymore. This is a violation of our basic human rights. And I’m sure allowing people to starve must be a crime in itself. Get a job or get evicted.